Most spiders aren’t deserving of the shrieks that they elicit. While they might not be pretty, many are perfectly friendly and mostly harmless. But there are some spiders whose bites can be toxic and even deadly. A knowledge of the poisonous spiders in NC (North Carolina) can help you identify which ones are dangerous and help you stay safe from a venomous bite. 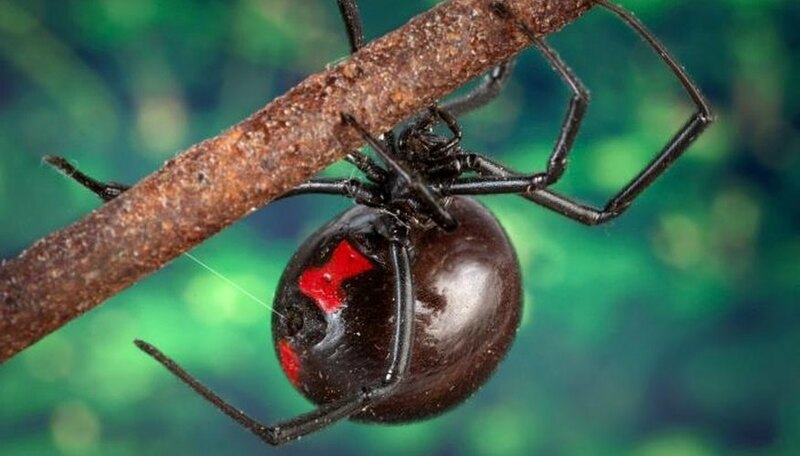 There are two types of potentially dangerous spiders in North Carolina: the brown recluse and the southern black widow. Several types of spiders make their homes in the mild climate of North Carolina. Some, like fishing spiders and the shore thin-legged wolf spider prefer to hang around the state’s coastline along the Atlantic Ocean. Others, like the goldenrod crab spider or the green lynx spider, can be found living on gorgeous blooming flowers and plant leaves. These types of spiders don’t spin webs. Some of the spiders that do spin webs in North Carolina are known for their unusual abdomens. The black and yellow garden spider has, as its name suggests, a striking black and yellow abdomen that looks more like the body of a bumblebee than that of a spider. Another, the spiny-backed orbweaver, has a black, white and red abdomen shaped like a crab. All of these spiders contain some type of venom, but most spiders are unable to release enough to a human to be dangerous. The bite might be red, itchy, painful or swollen, but it should not cause lasting damage. However, there are two types of spiders in NC whose bites can be deadly: the brown recluse and the southern black widow. People all over the south and lower Midwest must be on the lookout for these spiders. Brown recluse spiders in NC have small brown abdomens that are less than an inch long, as well as eight long, spindly legs. They also have a small black mark that looks like a violin pointing to their head, giving the brown recluse nicknames such as the fiddleback spider and the brown fiddler. Brown recluse spiders are especially active in the summer, when they come out to eat insects. In homes, they are often found in dusty or dark areas like attics or closets. They aren’t normally aggressive, but if they feel threatened, they will bite. If you get a bite from a brown recluse spider, seek medical attention immediately. A bite can cause necrosis, a condition in which living skin cells prematurely and suddenly die in the area surrounding the spider bite. This can result in an open wound prone to infection, and in rare cases can lead to death. Medical professionals can help to stop the spread of necrosis, prevent infection and monitor healing. Spider identification in NC can be tricky. Some people spot the Carolina wolf spider and believe it is a brown recluse. The two appear relatively similar, but the wolf spider is bigger than a brown recluse and lacks the violin-like mark. If you’ve been bitten by a spider that you think might be a brown recluse, err on the side of caution and contact your physician. 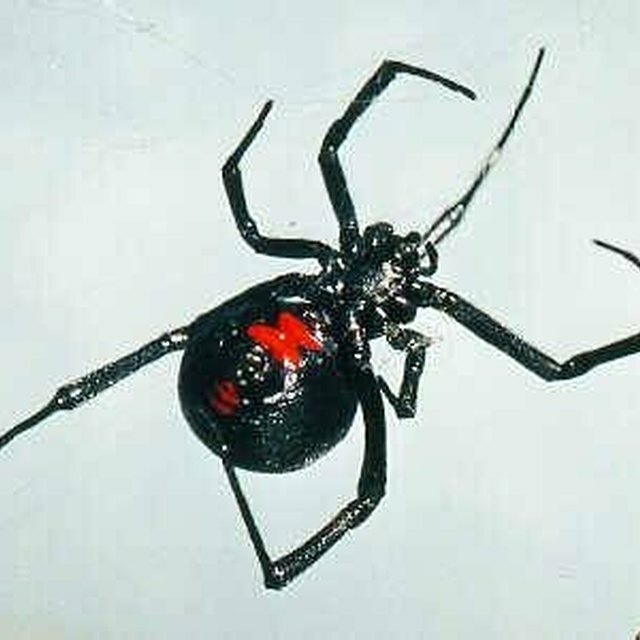 The second potentially harmful spider in North Carolina is the southern black widow. The spiders are black, with a red hourglass-shaped mark on their back. Their eight long legs are also black. Black widows prefer to lurk in dark places and won’t be aggressive. However, if a female protecting her eggs feels threatened, she will bite. They are known for being one of the most toxic spiders in the world. Thankfully, they usually can’t inject enough venom into a human to kill, but a bite can produce serious health problems such as muscle cramping, vomiting, respiratory issues and abdominal pain. Even if you aren’t experiencing these symptoms immediately, seek medical attention if you’ve been bitten by a black widow. Dragani, Rachelle. "Dangerous Spiders in North Carolina." Sciencing, https://sciencing.com/dangerous-spiders-north-carolina-5210508.html. 08 August 2018.